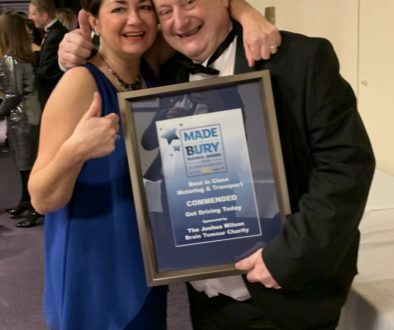 This time last year I remember writing a blog post entitled “Gobsmacked” because we had reached the final six entries in two categories for the Made in Bury Business Awards. Well gobsmacked doesn’t actually “cut it” this year, but we have reached the final six in THREE yes THREE categories of the 2017 MIBBA’s. 1. Best in Class Motoring and transport – This will be the fourth year running we have made the final six. In 2014, we didn’t make the top three, however in 2015 we came second with the “Highly Commended Award” and in 2016 we came third taking home the “Commended award” – Both certificates are proudly displayed on the wall. 2. 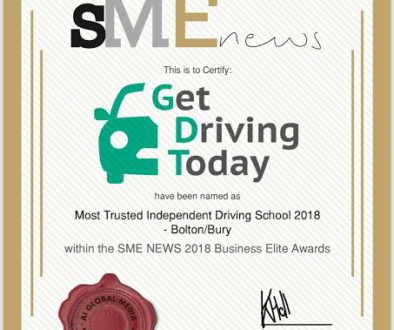 Customer Excellence – To be in the final six for this award is amazing, showing that some of our initiatives really do have you the customer at heart, and prove that you can have the confidence that the team at Get Driving Today will go above and beyond to help you get your driving licence. 3. Environmental Impact – I must admit this is a bit of a surprise to get to the final six, but hey we must be doing something right. Our application went into detail how our unique Eco-Driving Course can not only benefit your pocket, but have a positive impact on our direct environment. The next stage is now is a meet and greet with the judges of each category so that’s three presentations that need to be put together, tweaked, and ultimately presented. So why do we enter the MIBBA’s and not other competitions and awards you see? Social Media is full of award winners just because they got a huge number of likes? The MIBBA’s however is a different animal altogether. We must complete a written application form (for each category) that goes into detail about both current and future business. Then, if your application has stood up to the judges (Some of the top business people in Bury) you are invited to the meet and greet presentations…. And then and only then if you have impressed the judges enough you have made the final three and invited to the annual awards dinner in November. So please, please, please, wish us luck and who knows what can happen between now and November.